On the side of our scheduled daily tours we offer flexible solutions to groups & companies. You can combine the beer experience with different tours to get a complete experience of Brussels and Belgian culture. For example you can combine beer experience + chocolate tasting or beer experience + waffle workshop; every combination is possible. The classic 75' beer experience for your group only in our venue or the location of your choice. Days and schedules are flexible to suit your needs. 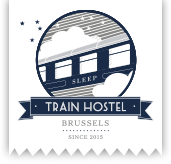 It's a cool & alternative idea for team buildings, stag/hen/bachelor(ette) party,...after the Beer Experience you can continue the night if you like and join Brussels Pub Crawl! The Waffle Workshop is a 90 minutes hands on activity in our venue where you will not only learn a lot on the Belgian Waffles but get to make your own delicious Brussels Waffles. This activity includes all you need to make Waffles (ingredients, cookware), assistance from start to end, take home recipe, many toppings for your waffles (fruits, chocolate, cream, nutella,...), a free drink and as many waffles as you can eat! Join our professional team of bar tenders for a 2 hour crash course on cocktails. You will learn how to make classic drinks and custom ones as well as some theory on alcohol that will help you create your own delicious drinks! The workshop includes: 2 hour class with a professional including hands on activity with the making of 3 cocktails per person, take home recipes & free goodies. Get away from tourist traps and taste Belgian luxury chocolate in this 75 minutes tour. You will also learn the truth behind Belgian chocolates, the real story behind its invention as well as where to find the best one! The tour includes a walking tour around the streets of Brussels and 5 free tastings.